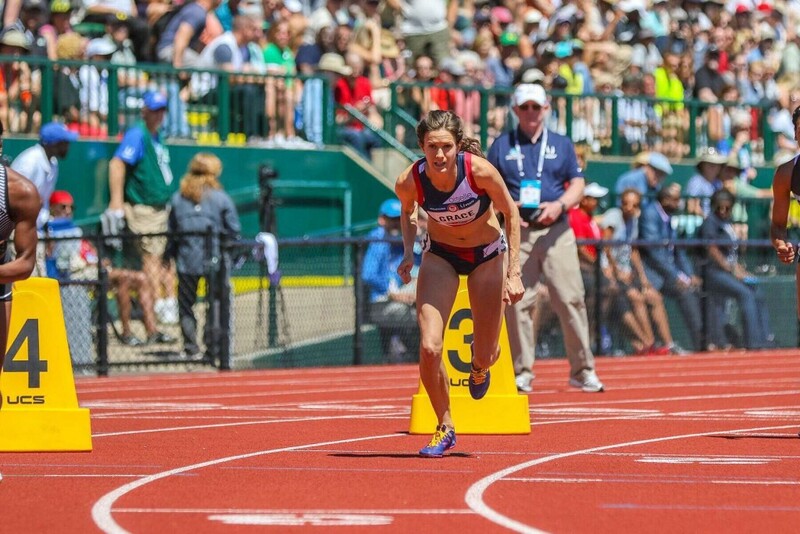 Kate Grace is a professional track athlete who, after winning the 800m race at the US Olympic Trials in July 2016, will now head to Rio as part of Team USA for the 2016 Summer Olympics. Kate is sponsored by Oiselle, and trains with the NorCal Distance Project in Sacramento. In this episode, I cry while telling Kate how inspiring she is and what a privilege it is to have her as a friend, but before that mildly embarrassing moment Kate shares a wealth of knowledge and stories about the months and years leading up to the moment when she earned her spot on the US Olympic Team. She talks about learning to believe in herself, and about the steps she took to set herself up for success this summer. She shares the honest truth about being injured last year, feeling scared and alone, and how she took charge of her life and her story after those dark moments in order to chase down her dream. We discuss the danger of putting too much meaning on any one event, the power of owning your goals, and the fact that it's okay to fall short of a goal and wind up disappointed. Kate also answers a few of the listener and fan questions that you guys submitted, and shares how she's preparing for Rio. Honestly, Kate is such an inspiration to me, and I hope you love our conversation as much as I did and that you join me in wishing her luck on social media and cheering for her in August!